Date & Time: October 3, 2009, 1:00-2:30 pm. Recent work on listening has attempted to shift the emphasis to alternative approaches which place more focus on the learner perspective, with instructional procedures focused on what goes on during the process of listening. We can then diagnose a specific area in need of more explicit teaching attention. This presentation will suggest practical ways to use authentic spoken texts for teaching listening. A range of visually supported authentic materials will be presented including brief streams of natural English provided by well-known actors in response to interview questions and selected dialogues from television sitcoms. After providing a brief rationale for using authentic materials, the presentation will highlight the need for increased focus on the bottom-up processing of language required for effective listening. The presentation will describe how the listening materials are used to help learners deal with the many problematic features of natural spoken language. Participants will be asked to do short transcriptions as a way of highlighting particularly difficult features of spoken language. Darren Lingley teaches Intercultural Communication, Comparative Culture and ELT in the Department of International Studies at Kochi University. 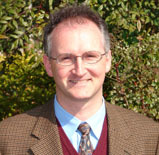 He is presently involved in developing methods/materials for using authentic mediated spoken texts in the EFL classroom. Darren is Associate Editor of JALT Journal and President of East Shikoku JALT. He is an active presenter and contributor to various academic organizations in Japan and abroad.